While the weather all weekend was inclement Sunday afternoon turned out to be one of the few occasions over the May holiday to enjoy a sporting event. 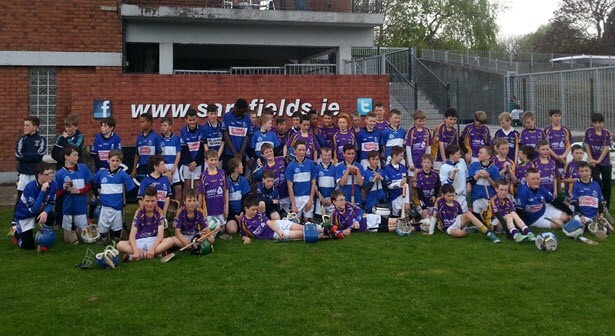 So when Kilmacud Crokes U12s dropped by to Riverstown on that afternoon it was a great opportunity for our U12 lads to face up to Dublin’s finest. It was a double header with Kilmacud having 2 teams against Sars U12 complemented by a selection of our U11s called up to assist due to some absentees caused by the May holiday. Thanks to Ben Graham and Shane Crowe from our U16 Team who officiated as referees for the event.